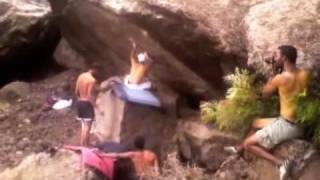 N 14° 53' 25" and W -24° 17' 36"
Cova Figueira in Santa Catarina do Fogo Municipality with it's 15,350 habitants is a city located in Cape Verde about 52 mi (or 84 km) west of Praia, the country's capital town. Current time in Cova Figueira is now 02:40 PM (Friday). The local timezone is named Atlantic / Cape Verde with an UTC offset of minus one hour. We know of 8 airports closer to Cova Figueira. The closest airport in Cape Verde is Mosteiros Airport in a distance of 11 mi (or 18 km), North. Besides the airports, there are other travel options available (check left side). Since you are here already, you might want to pay a visit to some of the following locations: Porto dos Mosteiros, Sao Filipe, Vila Nova Sintra, Assomada and Tarrafal. To further explore this place, just scroll down and browse the available info. Let's start with some photos from the area. Fogo is an island in the Sotavento group of Cape Verde. It is the most prominent of the group, rising to nearly 3,000 m (10,000 ft) above sea level at Pico do Fogo. Located at 14.933, -24.383 (Lat. / Lng. ), about 7 miles away. Mosteiros is a municipality located in the northeastern part of the island of Fogo in Sotavento in southern Cape Verde. The municipal population is around 9,449. The seat of the municipality is Vila dos Mosteiros. Mosteiros is linked with a highway that almost encircles the whole island of Fogo but it is inaccessible to the southeast by small narrow gravel stretch. Farmlands are within the coastline while the rocky landscape with a few bushes and grasslands of Mount Fogo lies to the southwest. Located at 15.0333, -24.325 (Lat. / Lng. ), about 10 miles away. Santa Catarina do Fogo is a municipality on the island of Fogo. The administrative centre of the municipality is Cova Figueira. Located at 14.9, -24.3333 (Lat. / Lng. ), about 3 miles away. Achada Grande, is a village located northeast of the island capital of Sao Filipe in the island of Fogo, Cape Verde. Its population is approximately 500. The settlement is linked with the road encircling the island and also links with the road linking southwest towards Chã das Caldeiras. This settlement is not to be confused with Achada Furna in the north of the island. Located at 14.9833, -24.3167 (Lat. / Lng. ), about 7 miles away. Atalaia, is a village located approximately 20 km northeast of the island capital of Sao Filipe and southwest of Mosteiros on the island of Fogo, Cape Verde. The Atlantic Ocean lies to the north. Atalaia is linked with the main road encircling the island. Located at 15.0333, -24.4 (Lat. / Lng. ), about 12 miles away. Figueira Pavão, is a village located approximately 15 km east of the island capital of Sao Filipe in the island of Fogo, Cape Verde. Figueira Pavão are linked the road encircling as well as a road to Chã das Caldeiras and its national park. Since its municipal restructuring of 2005, the most created in national history, it split from the municipality of São Filipe. Located at 14.85, -24.3167 (Lat. / Lng. ), about 3 miles away. Patim, is a village located approximately 5 km east of the island capital of Sao Filipe in the island of Fogo, Cape Verde. Figueira Pavão are linked the road encircling the island as well as a road to its attractions and to Monte Grande. Since 1990 it split from the municipality of the island name to become a part of São Filipe. Located at 14.8667, -24.4333 (Lat. / Lng. ), about 9 miles away. São Jorge, is a village and a small harbour located approximately 20 km northeast of São Filipe, the capital of Fogo, Cape Verde. Located at 15.0133, -24.4283 (Lat. / Lng. ), about 12 miles away. Fonte Aleixo, is a village located approximately 20 km east of the island capital of Sao Filipe and southwest of Cova Figueira on the island of Fogo, Cape Verde. Fonte Aleixo is on the ring road around the island. Located at 14.8333, -24.3667 (Lat. / Lng. ), about 6 miles away. Ribeira Ilhéu, is a village located approximately 15 km northeast of the island capital of Sao Filipe and west of Mosteiros on the island of Fogo, Cape Verde. Ribeira Ilhéu is linked with the main road linking with São Filipe and Cova Figueira and another connecting Patim. Located at 15.0333, -24.3833 (Lat. / Lng. ), about 12 miles away. Salto, is a village located approximately 15 km southeast of the island capital of Sao Filipe and south of Mosteiros in the southern part of the island of Fogo, Cape Verde. Salto is accessible by a good road encircling the island and can be reached by bus several times a day. The village has a sightworthy church and some small shops, but no accommodation for tourists. Most of the inhabitants are farmers growing potatoes, vegetables and papayas. Located at 14.8644, -24.4189 (Lat. / Lng. ), about 9 miles away. Galinheiros, is a village located approximately 20 km east northeast of the island capital of Sao Filipe, and near Cova Figueira in the island of Fogo, Cape Verde. Curral Grande is linked with branch of the road encircling the island. Also Galinheiro is one the most attractive town in Cape Verde "Fogo", where you can find beautiful beaches. Then in Galinheiro you can find a lot of people who are able to speak English, Spanish, French. Located at 15, -24.45 (Lat. / Lng. ), about 13 miles away. 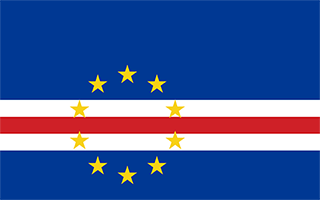 Relva, is a village located approximately 40 km east of the island capital of Sao Filipe, southeast of Mosteiros and north of Cova Figueira in the island of Fogo, Cape Verde. Relva is linked with a branch of the road encircling the island. These are some bigger and more relevant cities in the wider vivinity of Cova Figueira.